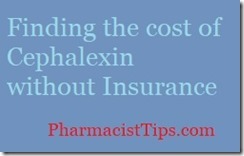 Figure out how much cephalexin is without insurance. I share some tips to finding the best price. The cost of cephalexin 500 mg is usually inexpensive. 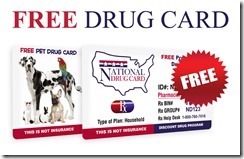 Most pharmacies will have it on their discounted list. It is often as low as $4 for a prescription. You could call around to local pharmacy to get a price quote or use my price checker. You can then print the card or take a screen shot of it into the pharmacy to get your cephalexin prescription at a discount. If your medication is too expensive always talk to your Doctor and Pharmacist about alternative.